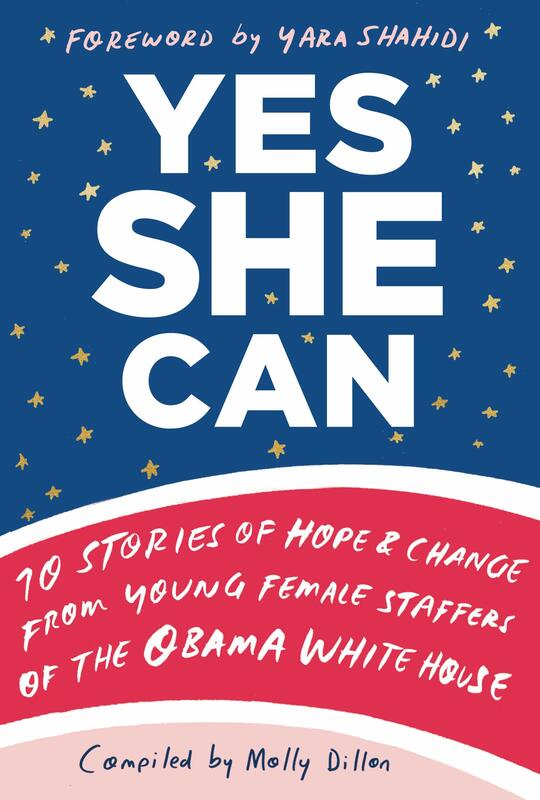 The New York Times Bestseller, Yes She Can, gives a look into the intimate moments of working in Obama’s White House through the eyes of ten young, female staffers. These women tell their stories in hopes of spreading the message of the need for more girls in government and encouraging women to believe that they can play a part in making change. American University had the honor of hosting six of these women and held a panel discussion about the ins-and-outs of working in the Obama administration. So, why write this book? Until now, there were no stories of young women in the White House. These authors wanted to appeal to Gen Z which is a generation more committed to social change than ever before. They also wanted to debunk the mystery of how someone gets involved in public service. The more educated we become, the less intimidating it feels for women to imagine themselves in politics. Andrea Flores spoke about the challenges of making change in Washington. When she entered the White House, she was faced with the harsh reality of knowing there are people who oppose your view. However, even when you are faced with failures in social change, you should continue supporting your cause and never lose hope. In the word of these 6 inspiring women, here are 6 tips for getting involved in government. 1. Get on a campaign. The time is now! With the 2020 presidential elections fast approaching, new candidates are constantly popping up. These up-and-coming politicians need young, eager staff members that can connect with their audiences. 2. Educate yourself on your topic. The more educated you become, the more prepared you will be for the moment you'll need to stand up and be an advocate on your topic. 3. Government is not just in D.C. Check out your state level politicians. Local politics are where a lot of real change gets passed, so go back to your roots! Your home states need you. 4. Find an issue that you care about. Think about the ways that you can make a change, not only professionally, but individually. The right movement or issue goes far beyond a single job. 5. Look to unexpected networks. Never underestimate your peers, mentors or past professors. This may require you to take a different path to later find yourself back in D.C.
A positive attitude will get you far in a work environment. We often forget that, apart from those professional connections, we all need to foster our social ones as well. Denise is currently a freshman at American University. Denise was born and raised in Boston, Massachusetts. She is majoring in public relations and strategic communication and is excited to join the HerCampus team.